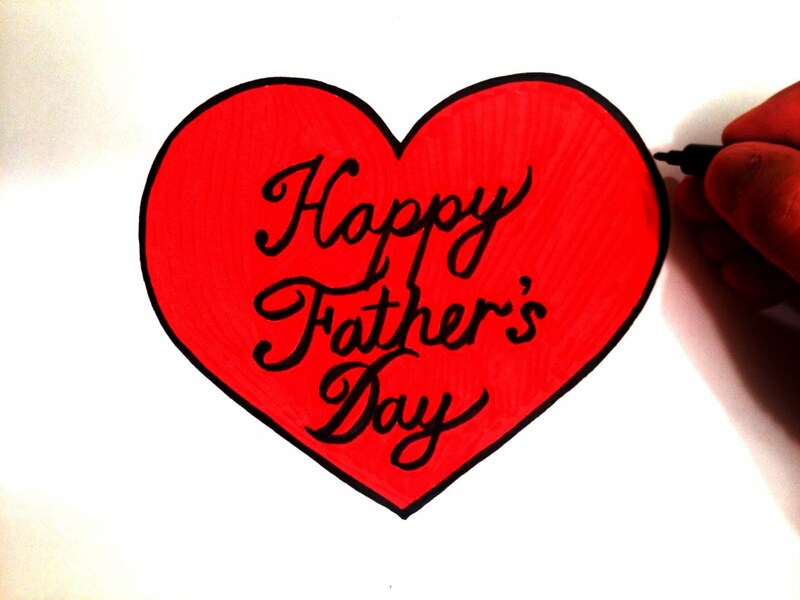 If you are stuck for ideas for some tech toys to keep your father hip and trendy this Father’s Day then here are a few items to consider. Is your dad addicted to the gym? This stylish waterproof speaker is equipped with a kickstand that permits freestanding use either in the gym of on the field and has an impressive 24hr ply time! The Braven 405 is easy to fold away and even has a built-in power bank that lets you charge you phone on the go – perfect for somebody who is always on the move. Is you Dad organised? This handy backpack lets him protect and carry his MacBook and other essentials. Perfectly padded with dedicated sleeves to keep all his tech bits protected. The water resistant Griffin Survivor Extreme Case is perfect for protecting your father’s tablet. 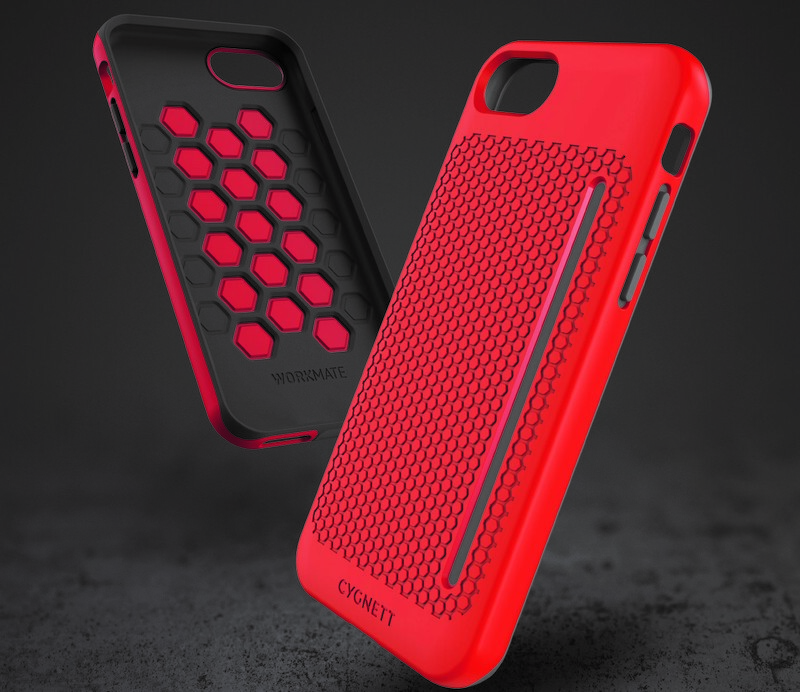 It has been designed to survive a 10th drop onto concrete, making it one of the most drop protective tablet cases available! This grab-and-go duffel bag is perfect for you Dad’s everyday commute. with an integrated, padded laptop sleeve and large main compartment, it’s perfect for carrying all his everyday essentials. Tech obsessed Dad? then he’ll definitely be needing an additional drop protection case for his brand new Galaxy S8/s8+. Built without the bulk, this ultra-slim case is able to out-live a 2m concrete drop. With the Christmas party season in full swing and that festive tipple turning into your tenth Jaeger bomb, certain party events become inevitable; someone trying to corner you for a heart-to-heart, that person crying in the toilets, the David Brent style dancing and the all too predictable smashed phone. Whilst we can’t help you improve your dancing, we can offer some tips to help avoid waking up next to a smashed phone after the infamous work Christmas party….. Provided by gadget and tech accessories provider, Griffin Technology. The more barriers there are to your phone, the less chance it has of falling to its demise. Whether it’s a zipped compartment in a handbag or buttoned pockets, something to stop you reaching for it every 10 seconds can work wonders. If you must grab that group shot on the dance floor, stand well out of the way of wayward dancers. People tend to go overboard at parties and their excitement is just too much – they’ll fling their arms in the air like they just don’t care and that’s the moment your phone’s knocked out of your hands. Running water (amongst other things) spells disaster for your phone, so do your phone a favour and take your selfies away from the taps. The last thing you want to be doing is attempting to take your phone apart and pop it into a container of dry rice at 2am……. Suffer from butterfingers on the dance floor when taking that obligatory selfie? It’s worth ensuring your phone is up to the action you put it through and invest in some reliable protection. Even if you’re convinced you won’t hit the floor no matter how many beers you have (and we guarantee you will!) or your table dancing skills are something to be marvelled at, it’s best to guarantee your device will stay safe. Griffin’s Survivor range offers some of the best drop protection going. Now go dance your heart out. Just in case the worst happens and your precious phone does go walkies, give yourself the best chance to be reunited with it. Download the Find My Phone app if you have an iPhone or the Where’s My Droid app for Android users. Both will allow you to stalk your phone until you discover where it’s been hiding. Not a popular tip, but it works. For gadget protection and accessories, Griffin Technology provides a range of cases to suit smartphones, tablets and more. For superior protection of the new iPhone 7, the Survivor Summit is recommended, as it has been tested to meet military standards making it super tough with 10-foot drop protection and a sealed, splash-proof design. Newly launched is the Survivor Clear Wallet – the ultimate in showcasing the new iPhone 7 whilst providing the best defense of it simultaneously. 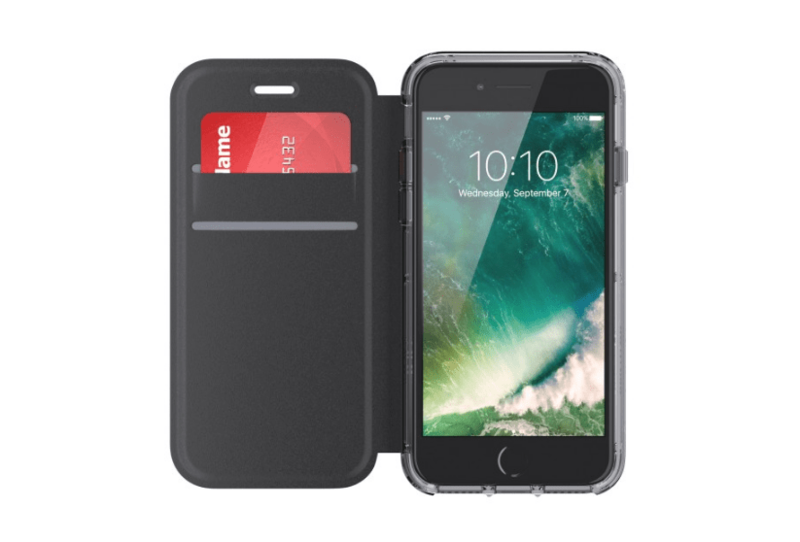 In addition to its premium shock-absorbing bumper, the case contains an integrated folio-type wallet with card slots, where IDs, credit cards, bus passes, cash and more can be stored. To check out the rest of the Griffin range, go to www.griffintechnology.com. With Christmas approaching and the party season now in full swing, followed by the inevitable diet and health kick in the New Year, we thought we offer you some ideas for the toughest phone cases on the market. We have all had those boozy Christmas party nights when your phone becomes that extra little bit difficult to keep a hold of and slips through your fingers, onto the dance floor or pavement with an ominous thud. Well, now you have that bit of extra protection to ensure the hangover is the only thing you will be cursing the following morning. In January it’s time to fight the bulge, whether that be getting out the running shoes or to get down the gym. Icy pavements or gym weights and machines are also perilous to unprotected mobile phones so be smart and wrap your device in one of the ultra-protective cases below. The WorkMate Protective Case for iPhone 7 offers full phone protection using dual complimentary materials as well as other ‘active’ user benefits such as the raised lip around the screen to protect your device as well as offer ‘lay flat protection’ when your device is face down. The WorkMate offers a more refined slimline designed case avoiding the bulkiness of other highly protective cases in the marketplace which sets it apart from all others. It is available in khaki green, white, black, red and grey. All GEAR4 cases available from www.gear4.com or Carphone Warehouse. D3O® materials in their raw state flow freely when moved slowly, but on shock, lock together to absorb and disperse energy, before instantly returning to their flexible state. This reaction is counter intuitive. The greater the force of the impact, the more the molecules lock together and the greater the protection. Integrated into all GEAR4 Black phone cases, the case range is the first to use an injection moulded grade of D3O® technology to deliver increased impact protection per cubic millimetre than other leading materials. A new design for the iPhone 7, the Carnaby offers protection without the bulk and features a mesh of colour matched D3O® on the back to add further protection, with style. It is also available for iPhone 7 Plus, and both cases are scratch resistant. Available in Gold, Rose Gold and Silver. Available from www.gear4.com or Carphone Warehouse. X-Doria’s Defense Lux for iPhone 7 or iPhone 7 Plus brings together refined luxury and durability to create the ultimate protective case. Defense Lux features a simple snap-on construction, engineered with a soft inner rubber layer, impact resistant polycarbonate backing, and machined with an aluminium outer frame. The aluminium outer frame protects the perimeter of the iPhone, while inside, the soft rubber wraps around the phone protecting it from up to 6’6” drops on concrete, exceeding military drop test standards – MIL-STD-810G. For a sophisticated look, the case is available in luxurious faux carbon fibre, soft leather, canvas or microfiber rear panel. Available from Amazon for £29.99. Offering edge-to-edge protection, the RealCurve features clear hardened glass, designed to perfectly match the curve of your iPhone screen. The six-layer construction provides maximum protection and ensures a quick, bubble-free application. Available from uk.cygnett.com for £19.95. With Christmas drawing ever-so-closer, it’s time to start planning in earnest for this year’s festivities. 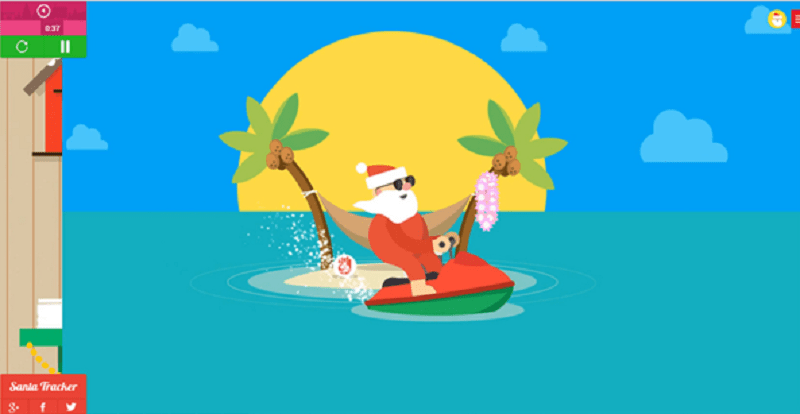 Whether you’re throwing a big one for the whole family, or hosting a more intimate meal, to help make the holiday period go as smoothly as possible online electronics retailer, reichelt.co.uk, have thrown together the most useful tech hacks for the festive period….. This one’s perfect for big kids and little ones alike. Track where Santa and his trusty reindeer are headed on Christmas Eve via Google Maps, as he traverses the globe bringing gifts to families. Ever felt super rushed getting the turkey and all the trimmings done in time? Well, have no fear, the handy Christmas Menu Maker app from ‘Fine Cooking’ is a good tool to have up your sleeve. It enables you to build your Christmas day menu in advance and helps you put your shopping list and schedule together. We’re impressed! Take a look at their all-time favourite Christmas recipes, such as beef tenderloin and roast turkey, as well as their crowd-pleasing winners for more formal occasions. Download the app for just 79p on the iTunes store and say hello to culinary perfection. While you’re attempting to beast that cranberry sauce, having your device well within eye-level for cooking tips is a winner. Forget accidently getting sauce (or brand!) on your iPad, this gadget could well save you a mini tech disaster and is also handy when streaming Christmas carols or watching your favourite festive movie. Nab this one from Mantona for just £18.30 at reichelt. 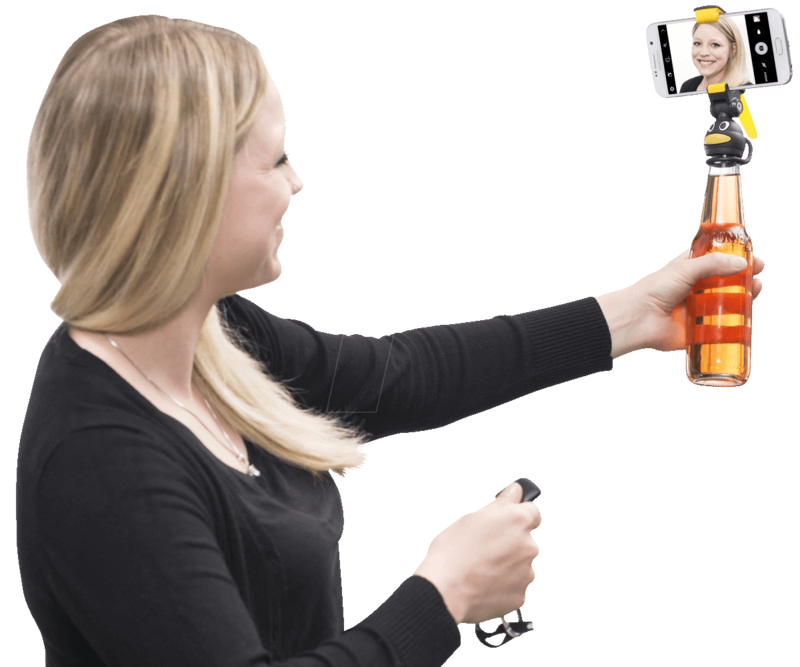 It also doubles up as a selfie stick for bottles, so you can nail that celebratory photo – neat! Want to get those Christmas lights up so they won’t budge this year? Inexpensive cable ties are great for fixing them securely, and allow you achieve the much sought after straight line. Added bonus: at the end of the season use them to tie up the lights, so that next year you won’t have to deal with a big, knotted mess. Win. With January looming round the corner, it’s time to get off the sofa and beat that Christmas bulge. And while you’re saving up the pennies again, getting trim for cheap may well feature on your to-do list. Well, we’ve got just the gadget to help you get motivated without breaking the bank. 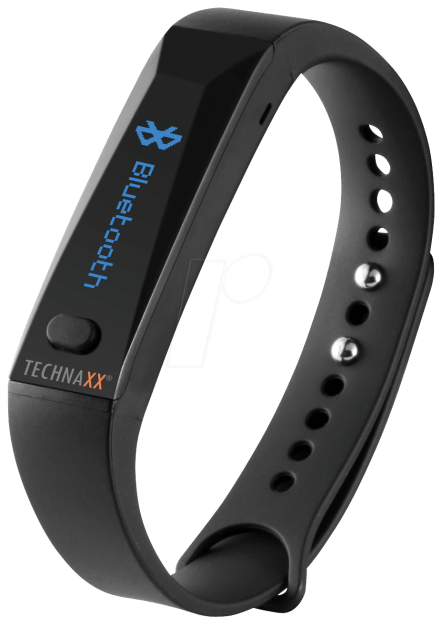 This bargain fitness tracker from hot German brand, Technaxx (available at reichelt for £34.80), is the perfect entry-level device. It monitors how many calories you burn, your number of steps and distance travelled. The device also syncs with the Technaxx ‘My Fitness’ app to give you real-time coaching and keep you updated on the status of your goals. Feeling inspired? We are. If you’re in search of the ultimate tech gift this Christmas, then look no further than the Kodak Pixpro 360 range. The 360 4K Camera is a pocket-sized marvel that’ll shoot nearly an hour (55 mins) of full 360 degree, ultra-HD 4K resolution video on a single charge. The Kodak Pixpro 360 4K Camera is available from Argos for £349,99 now. The Kodak Pixpro 360 4K Camera is the world’s first and most complete 4K recording device to capture stunning 360° immersive videos and still images without the need for multiple cameras. With a professional-quality 12MP BSI image sensor, super-simple uploads to Facebook and YouTube 360 video and NFC and Wi-Fi as standard, it’s not hard to see why the Kodak Pixpro 360 4K Camera has won plaudits as a pocket-sized powerhouse. The Kodak Pixpro 360 4K is easy to use too, featuring intuitive interfaces and simple controls to get the best out of every moment without the hassle of more complex systems. Features such as time-lapse video, burst mode, automatic white balance and stunning 4K still photos are available at the touch of a button. Whether you’re looking for the ultimate tech gift for a loved one or want to preserve those festive memories, the Kodak Pixpro SP 360 Camera offers serious bang for buck value. Although it’ll fit in the palm of your hand it’ll record 360 degree super-high resolution video for up to 160 minutes on a single charge. 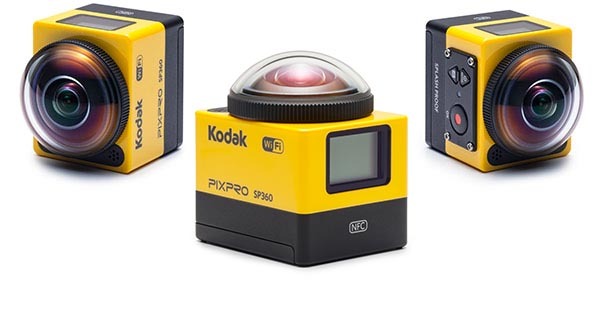 The Kodak Pixpro 360 4K Camera is also available in the immensely impressive duo pack, which harnesses two individual 4K Kodak action cameras into a full 360×360 action rig that’ll shoot entirely spherical point-of-view footage in stunning 4k resolution. Available now from Jessops for £749.00. Sharing the fun is simplicity itself too, as the Kodak Pixpro SP 360 supports Facebook and YouTube, as well as having a handy companion smartphone app to help keep everything organised. It’s also shockproof, freeze-proof, dust proof and splash resistant into the bargain! The Kodak Pixpro SP 360 Camera is available from Argos for a mere £249.99 now. Check out this stunning footage of the camera in action! The Kodak Pixpro SP 360 Camera captures stunning 360° immersive videos and still images without the need for multiple cameras. With a professional-quality 17MP image sensor, super-simple uploads to Facebook and YouTube 360 video and Wifi as standard, it’s not hard to see why the Kodak Pixpro SP 360 Camera has won plaudits as a pocket-sized powerhouse. 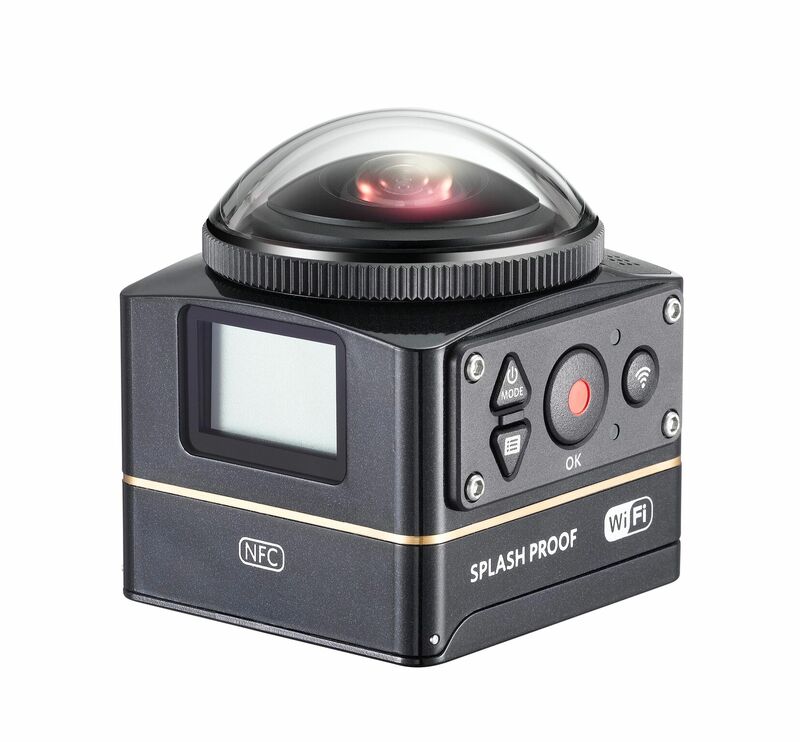 The Kodak Pixpro SP 360 is easy to use too, featuring intuitive interfaces and simple controls to get the best out of every moment without the hassle of more complex systems. 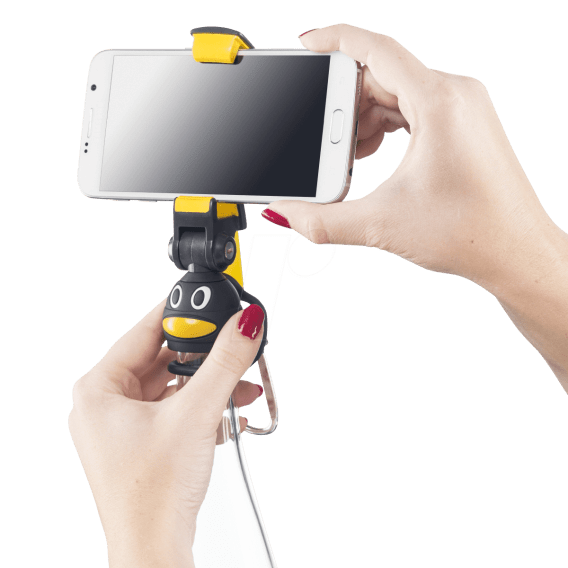 Features such as time-lapse video, burst mode, automatic white balance and stunning High quality still photos are available at the touch of a button. Celebrating Bonfire Night? Shop the supplies you need to make sure your night goes off with a bang! Newly launched online retailer for industrial and consumer electronics, reichelt.co.uk, offers a range of tools, components, tech accessories and more – save up to 20% on many top brands. One device, countless possibilities. Enjoy barbecuing with no compromises, with the Petromax Atago barbecuing is a breeze. The unique air supply regulation makes it easy to control the temperature, so setting the ideal one for both steak and fish is very easy. 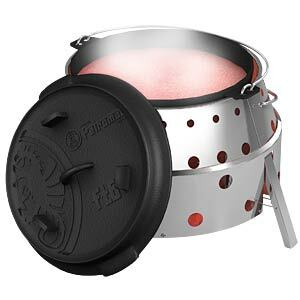 The Petromax Atago can be used in combination with the Petromax Dutch ovens, or a Dutch oven of similar size, to conjure up casseroles, soups, pasta, or even bread when camping, in the garden or during other outdoor activities. A sweet dessert and a delicious coffee is usually the grand finale of an evening barbecue. The residual heat of the Petromax Atago can used for a dessert or coffee. The Petromax percolator and the Petromax ft3 are perfect for this. A campfire is a unique moment for children as well as for a romantic evening as a couple. 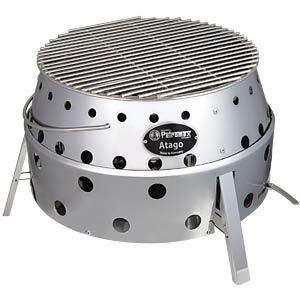 The Petromax Atago can be used as a fire bowl either folded or unfolded, and offers an easy option for making a safe camp fire with firewood. 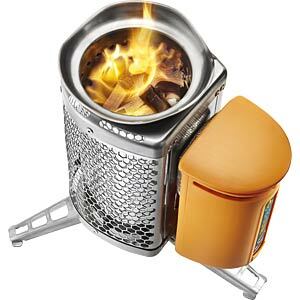 The camping stove from BioLite makes environmental awareness a top priority: The compact mini-oven for use while on the go is fuelled only by renewable resources and therefore protects the environment and the user’s health. Cumbersome carrying of heavy petroleum bottles is a thing of the past. Fir cones, branches, and twigs are used as heating material to fuel the thermo-electric generator inside. A litre of water can be brought to the boil in just 4.5 minutes. The cold blast lantern Feuerhand is produced in Germany ever since. 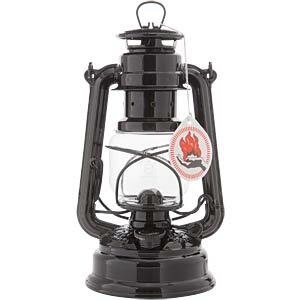 The Feuerhand storm lantern is fueled by Petroleum and features heat-resistant glass. It provides a gentle light which lasts up to 20 hours of maximum burning time. 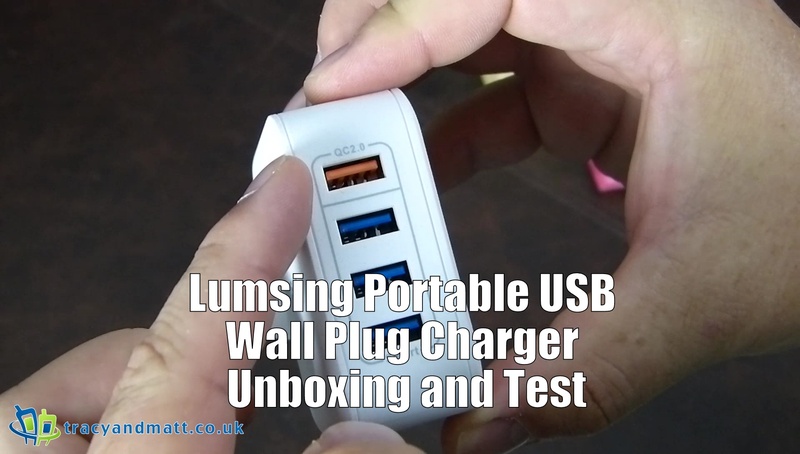 Lumsing have sent over their Portable USB Wall Plug Charger. This is a compact charger with four USB slots on the back and a single three-pin, UK plug opposite. Whilst this plug isn’t interchangeable with other region’s plug configuration the wall charger has a couple of features that might be of interest. The Charger can charge 4 smartphones, iPhone, Windows or Android alongside an iPad, Android tablet, Bluetooth Speaker or Headset simultaneously at full speed. This is compatible with almost any smart device with USB to DC 5V input. A built-in heat sink prevents the charger from getting overheating whilst charging. A unique surface treatment provides a textured grip and three options of colour, Orange, Blue and Grey. You can grab one here and Lumsing have extended a 30% discount to our readers. Using the code 5MNSS2NL on any color will save you 30% if redeemed before 31/08/2016 23:59BST. The charger is 25 watt rather than 21 at the beginning of the video. With regard to the QC 2.0 charging port, the speed will only be super fast when a QC-compatible Android phone is connected for charging. That’s why there’s no huge amount of difference after 41 min of charging in your first test. The smart plug meaning it detects what devices are plugged in and will adjust power accordingly for most efficient charging. This is upgraded from our old models that each port provides the certain power for iPad, iPhone and Android phone etc. Having taken this on board I have compiled a list of the Quick charge compatible devices on the market. With the UK leaving the EU there’s has been a lot of uncertainty with regards to our economic climate and, arguably, has led people to be cautious when spending their money. To give power back to the public and somewhat counter this, MyVoucherCodes have put together a monthly buying guide. The infographic looks at what products are cheapest in any given month. 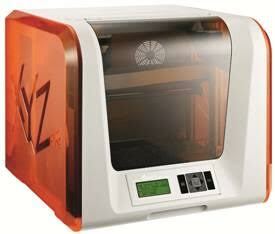 Are you in the market to buy a new 3D printer? Whether it’s for your business or just personal use, it can be confusing enough to choose the perfect one needed with so many available and not knowing where to begin. 3D printing is still very new and is only just moving into the mainstream. So, if you’re unsure where to start, here’s some clever advice to consider, from German online electronics retailer, reichelt.co.uk. The first thing to understand is the technology used in these devices. Most 3D printers use a process called “Fused Deposition Modelling” (FDM), but is also known as “Plastic Jet Printing” (PJP) or “Fused Filament Fabrication” (FFF). This technique involves layers of a specific material being laid down repeatedly until the object has been created. The cross-section layers are formed by a continuous length of plastic being ejected with a heated nozzle. The plastic then quickly hardens. Other printers use “Stereolithorgahpy” (SLA) where a laser solidifies layers of photosensitive resin. Having a grasp of what processes these devices use is the first step in understanding the product and ultimately, how it will function. When choosing the right printer for you, consider its attributes. What is its print area? The bigger it is, then the bigger objects can be created. Look at the printing speed as well. The type of material used and the complexity level of the print can affect the printing speed. Also, the layer resolution should be thought about. Some 3D printers allow you to enter the value of the layer resolution, whereas others provide options. This will affect the outcome of the final printed object. Lastly, the extruders of the printer is a key attribute of the device. These allow for the melted printing material to be ejected, and therefore, more than one extruder will allow you to print in different colours and different materials. Don’t forget about the different features 3D printers offer, which can make the printing experience easy and enjoyable. Some will come with connectivity options to allow for wireless connection or even come with an SD slot. LCD displays on these devices are also available. To have a visual display on these gadgets is always a pleasure to relay information back on its printing progress. Most of these printers come with its own 3D printing software that can open STL files, which is the standard file format you might use to print a 3D model. With this software you can choose print settings, layer thickness and fill types. However, to design and create your 3D models, you’ll need 3D modelling software. There is a wide range available either for free or which can be bought. It’s with this type of software that the STL files can be produced. Finally, settling on a preferred 3D printer will largely depend on your budget. They can start from the hundreds of pounds mark, going into the thousands of pounds for the higher-end type of products. It goes without saying that the more expensive the printer, the more features it will have. Essentially, its price will reflect the overall output quality and functionalities of it. Online electronics retailer, reichelt.co.uk, offers a variety of 3D printers to suit hobbyists through to businesses – all at competitive prices. For a high-quality, affordable and accessible 3D printer, the XYZ Printing da Vinci Junior is perfect for first-time 3D designers and aspiring inventors. For something more advanced, the Ultimaker 2 Extended is a world-class device that delivers and prints complex models with ease. Newly launched online retailer for industrial and consumer electronics, reichelt.co.uk, offers a range of tools, components, tech accessories and more – save up to 20% on many top brands.